Add the olive oil to a small saucepan. Add the diced onion and sauté over medium heat for about 5 minutes. Add the minced garlic and cook for 1 minute. Add the tomato sauce, chopped chipotle pepper, 1/4 teaspoon lime juice, 1/2 teaspoon salt, chili powder, and cumin. Cook over medium-low heat for 20 minutes. Transfer to a blender and add the remaining lime juice, honey, 1 tablespoon cilantro leaves, and chicken broth. Season with salt to taste. Using a 2 1/4-inch round cutter, cut a hole in the middle of each tortilla. Melt a small amount of the butter in a small sauté pan over medium-high heat. Add a tortilla and cook for 1 minute. Reduce the heat to medium. 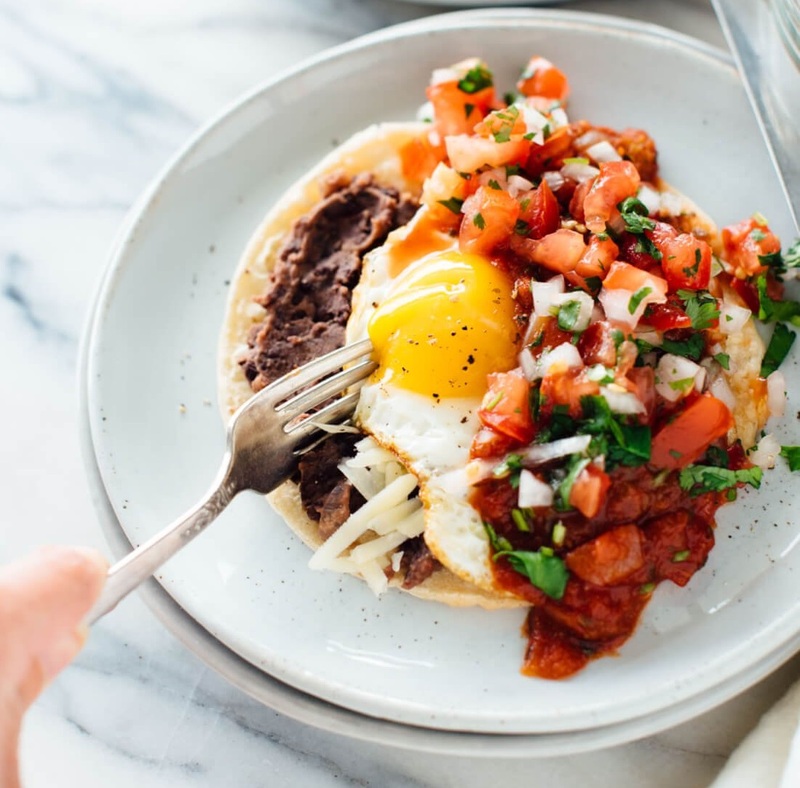 Crack an egg in a small bowl and then gently slip it onto the middle of the tortilla so that the yolk fits in the hole. Sprinkle a pinch of salt over the egg. Cover and cook for 2 minutes. Carefully flip the tortilla over and cook for a few seconds. Transfer to a plate. Repeat the process with the remaining butter, tortillas and eggs. Serve each egg-in-a-tortilla with the ranchero sauce, cubed avocado, Cotija cheese, and remaining cilantro leaves.